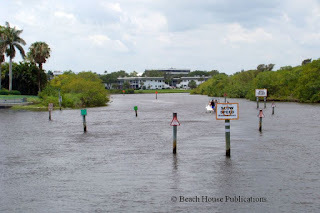 The Atlantic Intracoastal Waterway is a series of rivers, sounds, creeks, bays and manmade canals that stretch some 1,200 miles from Norfolk, Virginia to Key West, Florida. The waterways, for the most part, are sheltered and easily navigable by boats small and large. We have seen kayakers, sailboats, small cruise ships and replicas of Christopher Columbus' ships. 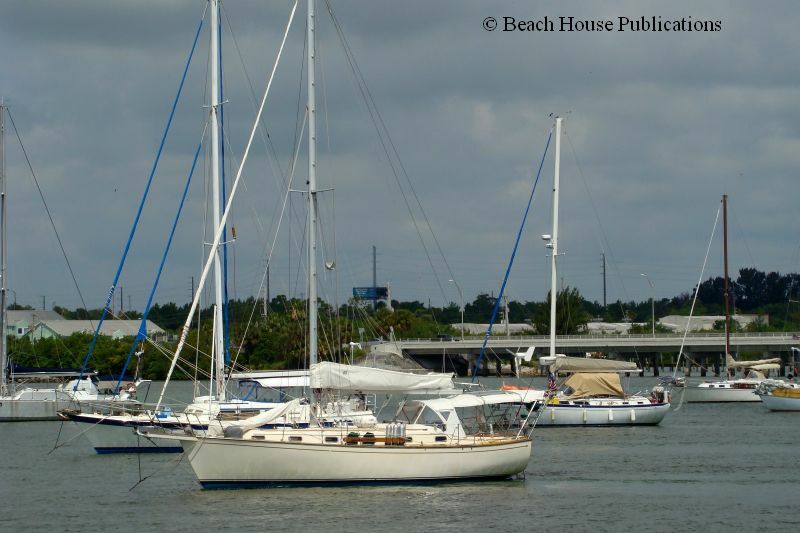 Sailboats with mast heights of 65 feet or less and drafts of 6 feet or less can comfortably do the waterway. There are a couple of exceptions for the 65-foot rule, primarily the Julia Tuttle Bridge in Miami, and a couple of others that were supposed to be 65 feet, but in reality are only 64 feet. Many stretches along the waterway are also not maintained, especially in Georgia, so vessel draft will play a role in how well the transit goes. What size boat is needed will depend on the comfort level of the crew. Some may need a large vessel with all of the comforts found in their homes, while others are quite happy by doing little more than camping out on a boat. When we sold our Mariner 40 ketch, Sea Trek, we considered boats in many size ranges. Our finally decision was to buy the smallest boat we felt comfortable living on rather than the largest boat we could afford. For us, this was a good decision. It keeps our cost of cruising down so we can cruise longer. It's easier for one or both of us to handle and we have been able to explore many, many more places than we could with a larger boat and deeper draft. Each boat owner will have to decide for themselves. Any reasonably equipped vessel will have no problem transiting the ICW. There are a few pieces of equipment that are important to making a successful ICW cruise. For us, the depth sounder is number one. Everyone that has ever done the ICW has run aground at one time or another. Channels often shift or silt in, and the constantly shifting bottom conditions make it important to know how much water is under your keel. Another required item for us is the VHF radio. With the advent of cell phones today, some would say that aren't as important as they once were. But get into trouble in an area where there is no cell phone service, I know it's hard to believe, and the VHF will be your safety line. Also, it is important to have a VHF to communicate with other vessels. There are many boaters that will argue that a good chartplotter is at the top of the list. We do use ours extensively and it is a primary piece of equipment on our boat. But we have done the waterway many times with nothing more than a good current set of paper charts, and we still carry them with us today. For us, even as many times as we have done the ICW, we never leave on a cruise without the most up-to-date set of charts. That includes paper charts as well as the charts on our plotter. We know the route, we know the best places to stop, and, of course, we know where the best anchorages are. But conditions can change from one year to the next and sometimes from one month to the next. On our first trip south, we had only a depth sounder, VHF, handheld GPS, compass and a set of paper charts. It was one of the best cruises in memory. If you have been reading this blog, you have a good idea of how Beach House is now equipped. Our autopilot has become a favorite crewmember, and we often use our radar on almost a daily basis, especially during the summer. The radar is used more to track storm cells and do anchor watch when the weather turns bad in the middle of the night than for any other use. Equipping the boat is one of those very personal decisions. It's not necessary to have all of the latest toys to have a very enjoyable cruise on the ICW. Probably the number one question we get is, how long will it take? Our answer is always the same, that depends. The trip can be done in about 4 weeks if everything is perfect. The first limiting factor is the number of miles a particular boat can do in daylight hours. It's foolish, in our opinion, to travel the ICW at night. At times we find it a bit nerve wracking during the day. 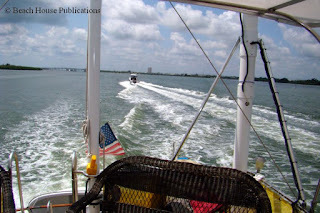 We so often see boaters that have done the ICW for many years rush from Norfolk to their destinations, usually in Florida, and miss some the the most fascinating and interesting cursing grounds that can be found anywhere. Stops along the ICW can range from quaint fishing villages to major metropolitan areas and just about everything in between. The hundreds and hundreds of solitary anchorages along the way are some of the greatest stress relievers we know. For Beach House and crew, the ICW is the destination. The number of side trips off the ICW can provide months of ideal cruising. The Outer Banks of North Carolina, small towns like Elizabeth City, New Bern, Washington, Georgetown and many more offer unparallelled hospitality and are filled with history. During our transits we use a 50 mile per day average. Of course that's only an average - some days are 70 or 80 miles and others might only be 5 miles. The ICW is best done at a leisurely pace with a general plan that is open to change. Each evening we sit down with our preferred guide and charts to decide where we want to be the next day. It's also a good idea to review the stretch of waterway for any problem spots that might be found along the way. We have written a previous post on some ideas for a typical 50 day average. A couple of good resources for notices to mariners along the ICW are my own navigational notices on the Marinalife website and Cruisers Net by my good friend Claiborne Young. It's our practice to make notes on our charts and in our guides on what we might expect out of the ordinary. We secure the boat each day, just as we would if we are going offshore. It's very unfortunate, but all too often we have been passed by vessels both large and small that have no regard or consideration for others on the water. These boats throwing off large wakes as they pass can cause things in the boat to fly off the counters and can cause damage as well as injury to the crew. In some cases it's a lack of skill and knowledge and in other cases it's obviously intentional. This is very unfortunate but is part of the experience that must be prepared for and considered. 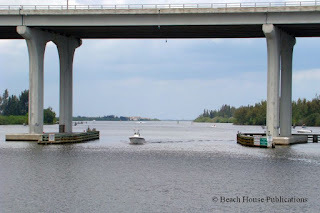 In our 20+ years of traveling along the Intracoastal Waterway, we have seen what appears to us to be more and more of this lack of consideration and seamanship and wrote about our observations in a previous post. The recognized proper way to pass is to approach the vessel from astern, slow down to match their speed, pass slowly close in on one side or another, and resume speed only after fully passing. But this concept seems to be unknown to many. The two vessels should be in communication on the VHF as all of this takes place. And of course the vessel being passed should slow enough so that the vessel doing the passing can indeed slow down enough not to make a big wake. Navigating the narrow channels along the 1,200 miles of waterway requires a certain amount of skill and concentration. 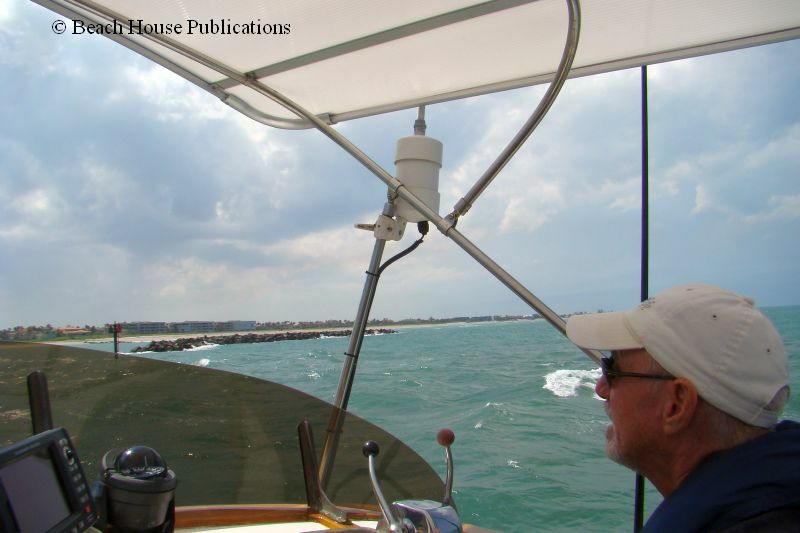 Many open sounds, and especially near inlets, will have a side-setting current that can quickly push the boat out of the channel and into very shallow water. Under these conditions, the helmsperson needs to not only look ahead, but watch behind to see if the boat is being pushed out of the channel. Many intersections can become very confusing, as side channel markers can be very similar to the ICW markers. All ICW markers will have a reflective yellow triangle or square on them. If the marker in the channel doesn't have the triangle or square, the boat is no longer in the ICW. Since red and green markers can be on either side, depending on where you travel or whether north or south bound, it's easier to remember that the triangles will always be on the mainland side and the squares will always be on the ocean side. Going south, the triangles will always be on the starboard side and the reverse going north. Once used to seeing them, it will be easy to remember. A good pair of binoculars are a must for picking out markers. There are many other signs and posts along the waterway so at times it can become confusing. We will go slow or even stop the boat if we are not sure of our exact position. 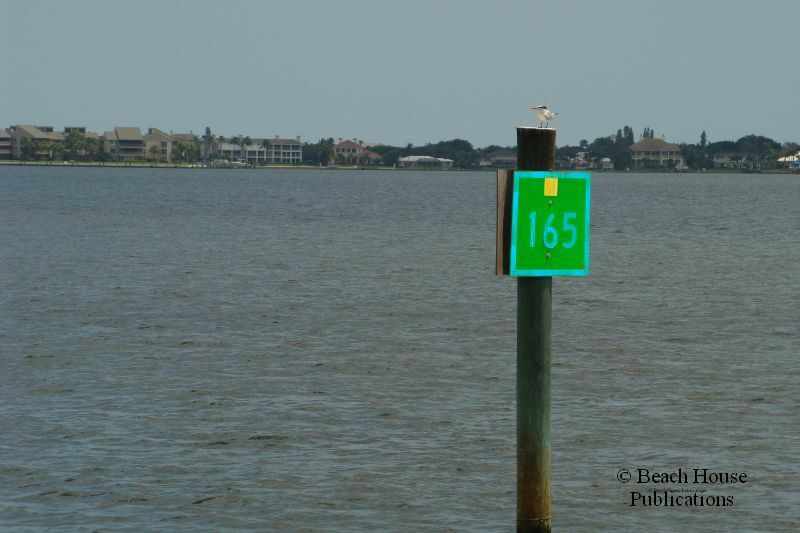 Avoid the temptation to run from one channel marker to the next. To often the marker can sit in very shallow water, and by running right up to the marker, the boat may run aground. Find the center of the channel and try to stay there. There may be times when one side or the other may contain deeper water, and this is where study and research keeps the boat moving. Running aground is bound to happen sooner or later. In most cases it's just an inconvenience, but at times help is required. Unless the boat has exposed props and rudders, there should be little to no damage to the boat. Most of the bottom along the ICW is soft mud and sand. Sometimes the skipper can maneuver back into deeper water and sometimes it means waiting for the tide to come in and float the boat off. Other times, running aground at high tide might mean a tow to get moving again. There have been a couple of times when that annoying wake from another boat actually bounced us off the bottom and allowed just enough space to throttle off the shallows as the wake picked us up. If all else fails, a subscription to Towboat US or Sea Tow will be the only option. These subscriptions can also save lots of money in the event of a mechanical breakdown and the need for a tow. These types of tows should never be performed by untrained boaters. The other most prevalent delay will be due to weather. Just recently, we were transiting a narrow stretch of the waterway and encountered a violent thunderstorm with wind on our beam in the 40 to 50 knot range, lightning, thunder and blinding rain that blanked out the channel markers and any other boats around us. Sometimes there is deep enough water to move out of the channel and wait it out. In those conditions, we have found it best to move out of the channel and point the bow into the wind. The engine is turning over just enough to keep the boat stationary in the wind and seas. 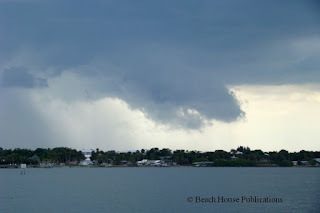 Other times we can see the storm coming in advance on our radar and find a spot to drop anchor and wait it out. Other times we have had to just keep moving as slowly as possible, and using our chartplotter and whatever visibility we have, ride it out. These are some of the most scary times we have had on the water, but it's inevitable, and preparation and practice will see you through. The first time will be terrifying, but once you have survived that first time, it gives you the confidence to stay calm and get through the next time. And staying calm is the key, knowing the boat can handle it as long as the skipper can too. There are times when it's just best to stay where you are for a day or two and let the bad weather pass. There will also be times when it will be best to be in a safe harbor well before the weather arrives. Forecasts are available from any number of sources, including the VHF and online. A few things we have come to learn over the years is that the forecasts will almost always be wrong. The best planning will be to expect the bad weather to arrive sooner that is forecast and the wind strengths will almost always be 5 knots stronger than forecast. The wind direction will also almost always come from the worst direction and not necessarily be from the direction forecast. If you plan your cruise using these rules, it will be a safer, more comfortable cruise. Bridges are one of our least favorite parts of transiting the ICW. 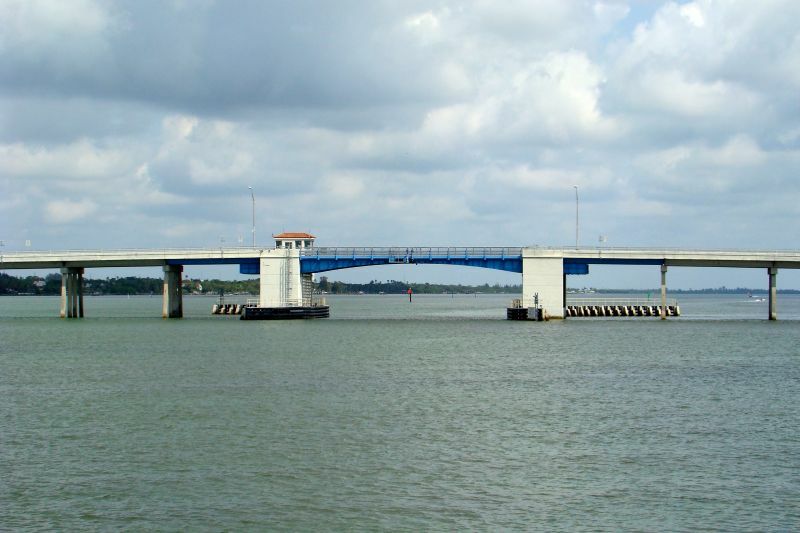 The good news is that many of the bridges over the waterway have been replaced by highrise 65-foot bridges. But there are still many that may require an opening depending on the air draft of the vessel, both power and sail. Having the most current bridge schedules for the 1,200 miles of waterway is a must. Timing an arrival at a bridge just prior to opening times will keep you moving. Arriving at some bridges even a minute late may mean waiting up to an hour for the next opening. Some bridge tenders are accommodating, while other rule their fiefdom with an iron hand. Their openings and closing are set in stone and there are no exceptions. We have had tenders refuse to open the bridge even though we had arrived before the scheduled opening. Be early, but not too early. Construction, special events and even emergency vehicles can affect whether or not a bridge opens on time. 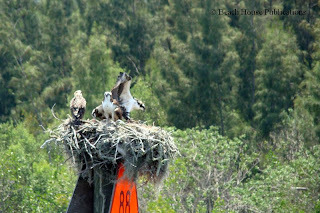 During the busy season when the "snowbirds" are migrating south on their boats, it can get very congested at the bridges. When the spans go up, everyone tries to get through at the same time. The bridges are narrow and very often have strong currents running under them. Be patient, take your time and don't get caught up in the frenzy and all will go well. Sometimes the difficult part is waiting for the bridge to open, sitting in a narrow channel with a dozen other boats and the wind is howling and the current is pushing you down on the bridge. It's all part of the adventure. The Atlantic Intracoastal Waterway can be a fascinating adventure and we have never seen it the same way twice. The possibilities are endless and the ICW can offer a lifetime of cruising destinations. A good vessel, well-equipped, and a prudent crew will make for a lifetime of memories. The important points to remember are to stay safe and enjoy. If you have a favorite story about your ICW trip, share it with us. Get your copy of The Great Book OF Anchorages, Hampton Roads and Norfolk to The Florida Keys, here. Visit our Facebook Page for lots more photos of our adventures. Sir, this is very valuable information. I have 25 foot Maxum 2500 SCR. It sleeps 4 comfortably. Would it be a comfortable trip in such a small boat for 4 people? 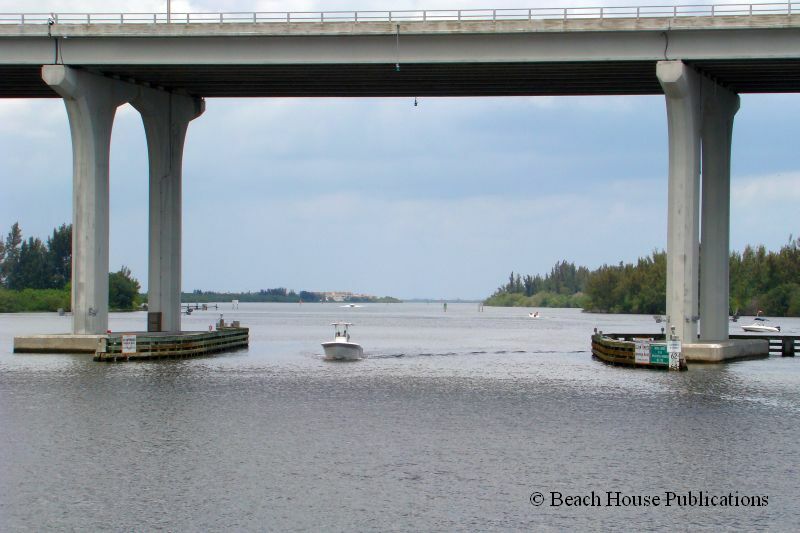 Do you see any pontoon houseboats in the 30-40 ft. range cruising the ICW? I have never manned a boat but I want to learn and I want to buy a boat to cruise from the Carolina s to the Florida keys, I am as green as you can get. how would you suggest I get started? Hello. Very interesting read. We are just buying a boat in Annapolis and going to motor down to port canaveral. Very excited but nervous too. So looking for good information and good tips on the way. Fun reading. 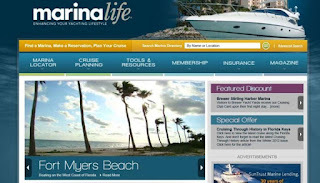 My wife and I "cruise" from Lk Park marina to Biscayne Bay many weekends on our small 24' Chris Craft with stops in the Las Olas mooring field and Miami field (we try to use the marina facilities for showers and laundry only). Still waiting to graduate to a real cruising vessel. This year's Trawlerfest will be our first, and we're planning on the Stuart show primarily for the seminars with Chris and Alyse. Any chance we'll see you folks there? Forums and blogs like yours keeps us excited until we jump. Thank you and stay safe. 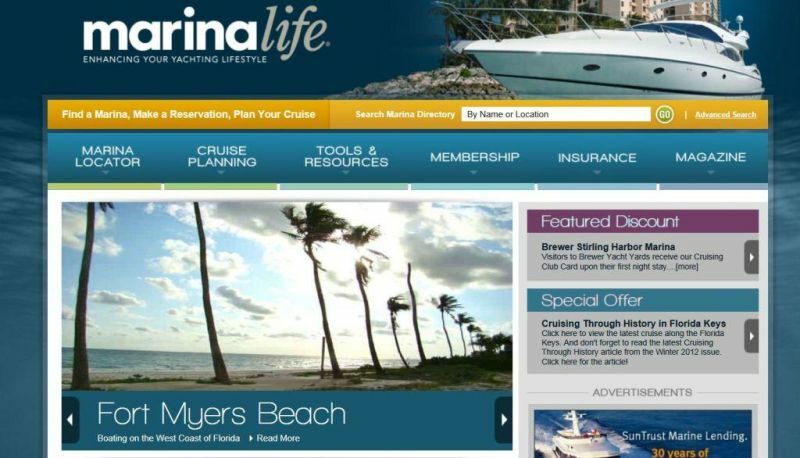 We will be at TrawlerFest in Riviera Beach and will be doing seminars on Jan. 21 and 22. On the 21st we will be doing an all day seminar on the Bahamas and on the 22nd our topic will be "How to liveaboard without killing each other". Hope to see you there. Sorry, Skipper, but you have an error. Going south, triangles will not always be on your starboard or right side. If you are going south on the west coast they will be on the left, port, red side. This is because the lateral system makes a big circle around the nation. It starts in Maine somewhere and travels clockwise around the nation. If you are going counter clockwise, all that Red Right Returning stuff is backwards. great blog! we are moving out boat this coming July from the 1000 islands NY to St Petersburg Florida. i know going the wrong way for summer but it is the only time my daughter can come with us. we hope we can do it in 30 days as she needs to be bck for school. if anyone else is going at this time give us a shout. Tom, NY to St. Pete is a pretty ambitious undertaking in 30 days. Your going to have to make some serious speed every day without any delays for weather, mechanical issues, bridge closures, lock delays and a host of other possibilities. There are many stretches where speed and wakes are restricted. Not something I would want to try, but we wish you luck. I'm not sure if this is being sent to you but I will try again. I am going to take a 42 foot trawler twin engine up from Onanacock Virginia to Hampton Nh. Would like to know what rout you would recommend ? I apologize if this os the third request you receive from me. Gary, Unfortunately we have no experience north of New Jersey so I can't offer you any advise beyond that. You can hop up the eastern or western shore of the Chesapeake bay, depending on what your daily distance plans are. Then go through the C&D Canal and down the Delaware Bay. Try to run the Delaware on an outgoing tide and try to avoid a wind against tide situation. You can go through the canal to Cape May since the bridge restriction is 50 feet. From Cape May, you can take the NJICW if your draft will allow it. There are some shallow areas so plan on transiting at half tide or higher and pay close attention to the channel. If the weather is good you can go on the outside at Cape May and use one of the inlets to jump in and out if you prefer to not do a long run to Sandy Hook. I believe you will have to go outside at Manasquan in any case. From Sandy Hook, I suggest you find a good, current cruising guide for additional information. Good luck and have a safe trip. Great Blog! Thank you. We are planning our ICW adventure next year and are currently preparing. My questions are regarding supplies for the trip. Are there parts were getting supplies may be difficult? Do you have any suggestions? Thanks Chuck. Can't wait to get started. We've been in the Manatee pocket for 3 years getting Caretta ready, studying and practicing. Looking forward to the adventure! Your cellular service will depend on your carrier. With Verizon, the only place we did not have service was the lower end of the Alligator River. As to your route, well you'll be taking the ICW all the way I suppose. Get a good ICW and Chesapeake Bay chartbook and do some studying before you start out. Also a good guide book or two will be very helpful. Good luck. What months do you usually use to do this trip? Hello! I've been following your blog for a couple of years and love it. 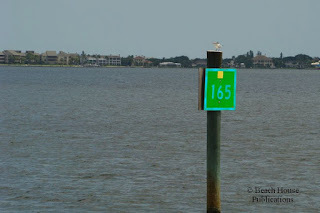 Question: where is the best way to go about finding a charter boat with captain to begin learning about the ICW? My dream is to navigate it myself one day, but one step at a time. There are many, many charter companies that offer Captained charters. But you will want to find one that offers a "training" Captain. There are none that we would want to recommend. One service that we do recommend is not a charter company, but a training service that will teach you all you need to know on how to operate any vessel on the ICW. That is Captain Chris Yacht Service and they travel all along the Atlantic seaboard so their location will depend on where they happen to be at the time you will need them. Good luck. Hello! My husband and I have a 20' Grady White and we have it docked at a marina in New Smyrna Beach, Florida. Hubby wants a larger boat when we retire and his dream is to navigate the ICW far north. Something we're experiencing now though with our Grady has me scared to even think of doing that. Right now, we have taken our Grady about 5 miles south of NSB and north to Daytona. In doing so, we sometimes pass other larger boats going full speed in the opposite direction of us and their wake just about capsizes us! Hubby says all we need is a larger boat, but I'm not sure... It's gotten so bad that I make him remain in the no wake zones out of fear... I've seen your comments about overtaking and passing slower boats from behind, but could you comment on passing a boat coming the opposite direction? What can we do now in our Grady, and will it be better with a larger boat? Thanks! Do you have any info/insite on travel between Chicago and the Gulf? My bucket list includes taking my recently restored 32' Fales Navigator counterclockwise from Wisconsin. I would like to write about playing golf along the way. Also would like to stop in Tennessee for a Vols game in the fall. Brian, There are several posts here on the blog covering the Tenn-Tom between Mobile and Demopolis, and the Gulf coast. 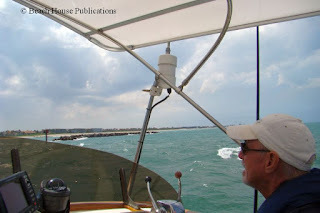 If you visit the AGLCA (America's Great Loop Cruising Association) website, there are links to members blogs with lots of information from boaters that have done the trip. You don't have to be a member to access that part of the website. But if you plan to do the Great Loop, it a wonderful place for information. Hope this helps. I really enjoy your blog. You are so very kind to share your experience. Like so many, my dream is to navigate the ICW after retirement. Unfortunately, it is not a dream shared by my wife, though we both enjoy boating. I wonder if you are familiar with where I live. I am on the Shallotte River looking south on the ICW. The Inlet View restaurant is directly across the river from me. we can see Tubbs Inlet from where we are. I watch trawlers traveling south this time of year and think maybe someday. Mark, We have traveled the waters in your area often. While cruising we have also encountered a lot of skippers that have spouse less enthusiastic than they are. Many have found ways to still follow their dream. Some travel the ICW either single handing or with crew, stop at some nice town for a while and the spouse joins them. Or they do short hops with the spouse, then leave the boat at a marina, return home for a period then repeat the process. Where there is a will there is a way. Good luck. If you are familiar with where I live, maybe we could buy you lunch or a drink next time you're through this way. Good travels!! Thanks Mark, We'll keep you in mind. We did the ICW in 1992 in a Bristol 39 (5.5 ft draft, 55 ft. mast.) Left Cohasset, MA the day before Thanksgiving, arrived in Ft. Lauderdale, FL on New Years Day. Spent a few months checking out the Keys. Heading North we decided to leave the ICW for open ocean at Jacksonville, since going South, we grounded out at least once a day in GA. Went back in at Charleston. Wonderful experience done with paper charts, before new bridges - they all had to open for our 55' mast. We remember those days well. That was about the same time Susan and I made our first trip south together. Who knows, we may have passed each other at some point. That was aboard our Mariner 40 ketch, Sea Trek. Chuck & Susan: Just finished reading your very informative blog for the second time. It is now bookmarked! I have 30 yrs boating experience in Alaska. 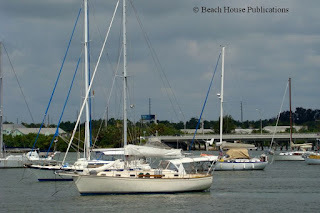 This summer (2015) I plan to purchase a 28'-32' diesel powered sailboat in Norfolk and head down the ICW to FLL. An idea I've had for a few decades and now able to do it! My reading of the ICW tells me there is not much opportunity to do much sailing; mostly motoring. I don't plan to go 'outside' the ICW. What are your thoughts on this? And also, what kind of summer high/low temps can I expect? Thank you kindly. Steven, There will be some areas that you will be able to sail like the Pamlico and Albemarle Sounds, Many of the rivers are also wide enough to sail if the wind is right, like the Alligator and Indian Rivers. But there will be lots of miles that will require motoring or motor sailing. Summers south of Virginia will be hot and humid, with temps typically in the high 80's to low 90's, getting more so as you head farther south. The other issue in the summer will be thunderstorms that can be sudden and severe. Try to plan on being settled in as early as possible each day since these are usually in the afternoons. Good luck, and remember to have fun and stop to smell the fish fry.